Hi! Hope you had a great holidays :) My tradition for Christmas is to be ill and so did happen this time. Which means no snowy wonderland at our cottage in southern Bohemia (well, technically it was snowless anyway) and spending the last day of 2008 with Andy Warhol's book The Philosophy of Andy Warhol (From A to B & Back Again) and all the entertainment 8 channels of Czech and Slovak television can offer. 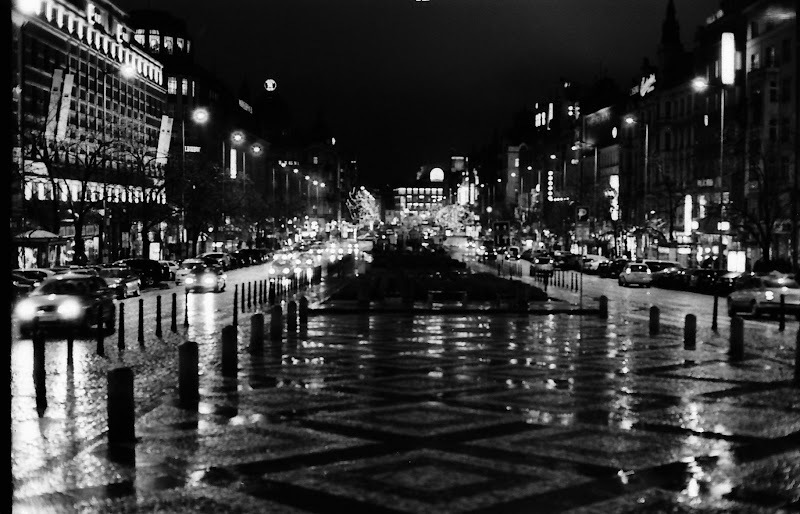 The biggest TV show was broadcasted live from Wenceslas square. Thus the choice of picture for today. Anyhow, I think 2009 will be a good year, don't you?